Having the perfect vacation is like trying to split the red sea, but with our Egypt tour packages, your miracle awaits. Our company enjoys a variety of Egypt tours, whether you were looking for a family, friends, group packages or simply going solo and if you are looking for customizing your own personal best Egypt tours, we got you covered. You will be a witness to extraordinary unique kind of artistry where you will create the memories of a lifetime with “Egypt Tours Portal” while enjoying the highest form of service, safety, and comfort in the most affordable prices. Elevate your horizon by boarding our Magical Nile cruises to the majestic destination of Egypt and feed your soul the essence of beauty. Why Choose Egypt Tours Portal? Step into our time machine and witness ancient history unfold in front of your eyes with the help of our breathtaking destinations. Enjoy our amazing service and rare experience in a very affordable and reasonable valued price. Walk into ancient Egypt through our unforgettable tombs and temples and the stunning Red Sea. Come, get your camera ready and capture some magic. Book any trip you like as fast as possible and we will be by your side to answer any query or request you may want. Our professional support team is ready 24/7 whenever you need us and we will go above and beyond to ensure you have the best possible experience. Our guides are very passionate about their work and also good in creating the best holiday and tours that they can manage. Great opportunity for those onboard “Seven Seas Navigator, Columbus, Albatros, Silver Shadow, Oceania Nautica, Vasco da Gama, Oceania Insignia, Silver Spirit, Seven Seas Voyager, Norwegian Jade“. 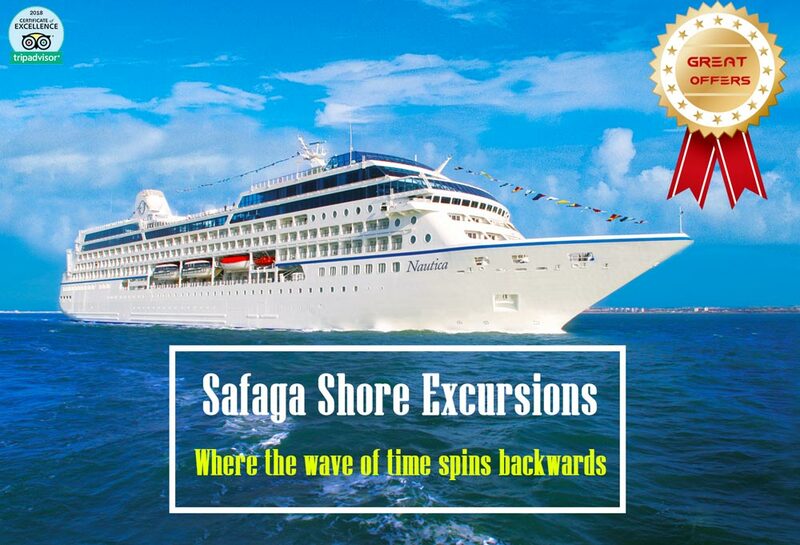 Egypt Tours Portal” well organized breathtaking tours that can’t be missed while your cruise ship stopped in Safaga Port of Egypt. Use your time and make wonderful memories in the ancient Egyptian landmarks in Cairo and Luxor, visit the miracle Pyramids of Giza, witness the temple of Karnak, Luxor and Hatshpsute temples, live the adventure in Valley of the Kings and explore face to face the golden treasures of King Tutankhamun, and many more activities that you can check through our Safaga shore excursions.